This is our most popular map! 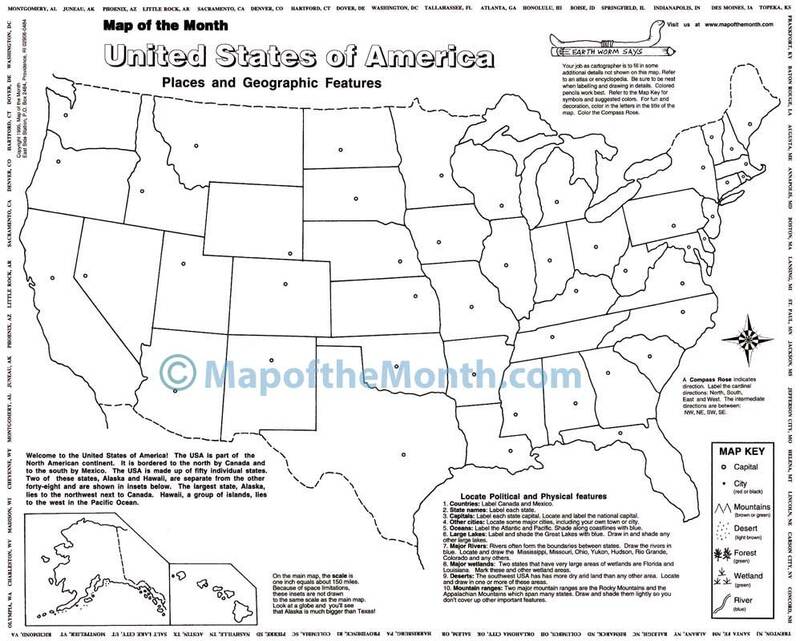 Looking for a blank outline map of the USA that your students will love? Our map comes with “hands-on” geography activities printed right on the map! Students add names of places and also have fun drawing in physical features! Perfect for individual or group projects. Check out the blank & completed versions here by clicking on the small image at the lower left of the black and white map! Students learn by coloring and using the fun, easy to draw symbols in the Map Key. We also offer a VIDEO for this map! Jason Newton, our cartographer, narrates a clear step-by- step way to effectively label and color the features of our map(s). Each student will enjoy learning how to be a cartographer. Click HERE to go to the video page for this map! Free Digital files! When you purchase this map, be sure to see our free access digital file about the MISSISSIPPI RIVER, for use with your projector/whiteboard. Click HERE for free access to this MISSISSIPPI RIVER file, which is part of our CartoCraze! Expanded Map Workshops! BONUS Halloween Activity: Check out a fun way to do some spooky Halloween geography here. 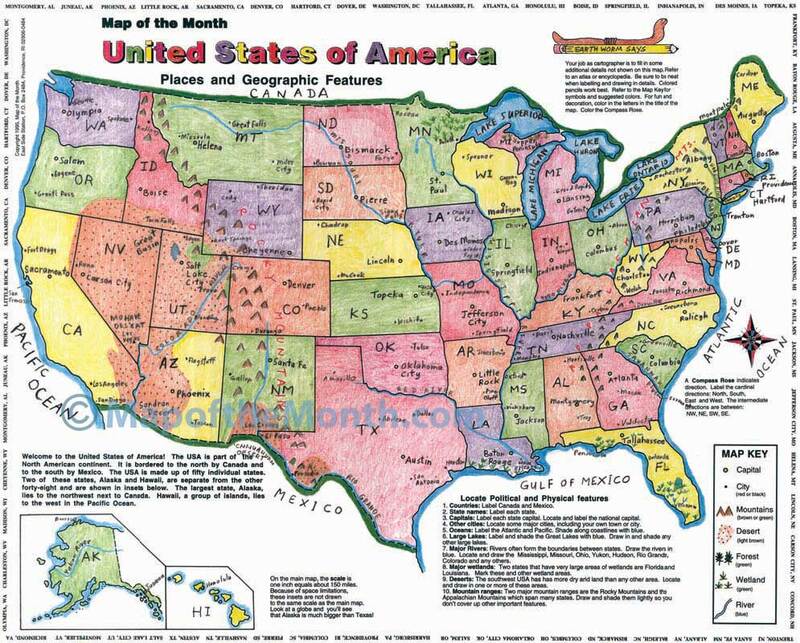 Be the first to review “USA, Places and Geographic Features Map” Click here to cancel reply.